The mini roadster magnetic paperclip holder not only keeps those tiny metallic items in place, but also acts as a nice ornament on your desk. Like the design? Let’s keep checking. This is a well-crafted, eye-catching paper clip holder that measures 1.2 x 0.8 x 3.1 inches and weighs 5.4 ounces. 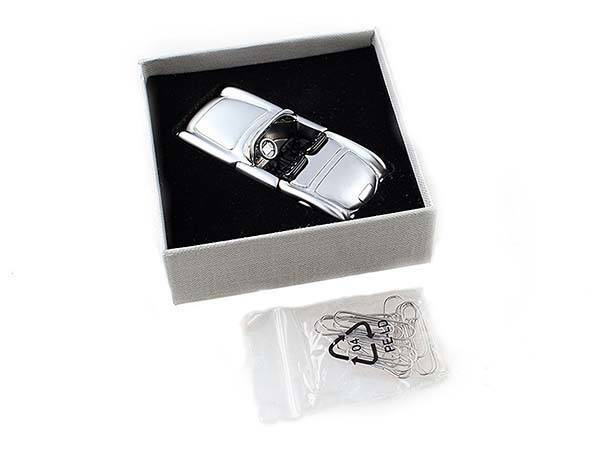 As shown in the images, the paper clip dispenser is molded after a luxurious roadster, and its silver body shows off exquisite contours and meticulous detailing. Meanwhile, the miniature design allows you to place it on any surface in your room or office. The seats of the silver mini roadster are designed for those metallic tiny accessories on your desk instead of any driver, and built-in magnet keeps them together and delivers a neat and clean desktop. Moreover, the doors are openable and the wheels are rotatable for vivid and fun details. In addition, it comes with six small paper clips, and an exquisite box makes it an ideal gift. 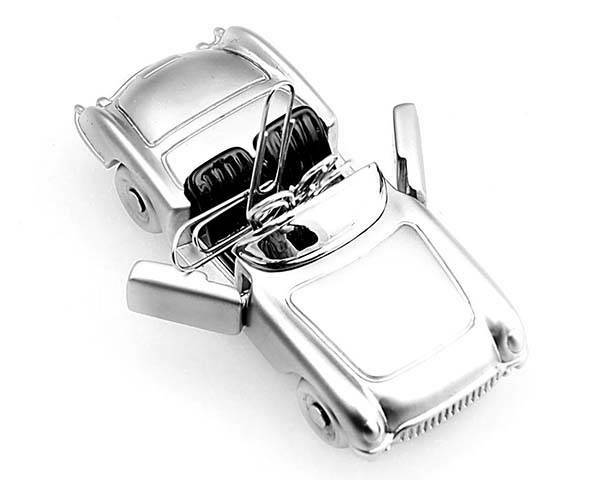 The mini roadster magnetic paper clip holder is priced at $14.95 USD. If you’re interested, jump to Amazon for its more details.